Not in the mood to rock out to the world’s loudest baby? 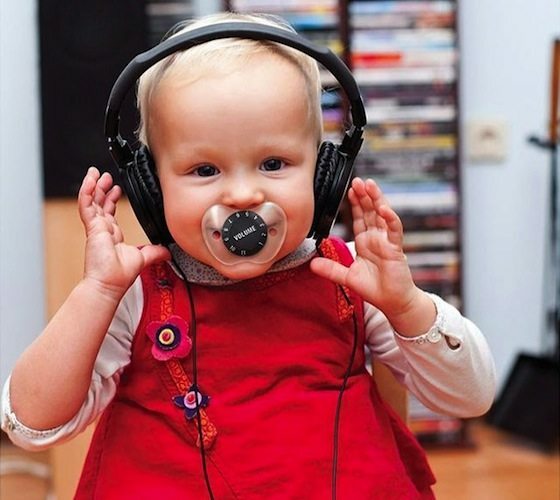 The Chill, Baby Volume Pacifier is the perfect noise stopper for when you baby decides to put it up to eleven! This offbeat pacifier features a volume knob, just like the ones on Tufnel’s Marshall amplifier. Great gift for the parent who appreciates music, tongue pacifier-in cheek-humor, the ability to hear themselves think, and of course the greatest rockumentary of all time!